Should you want to try the Smokeless Image Volt, feel free to use our 10% OFF coupon for all Smokeless Image products. Just click on the code below and you will taken directly to the company's online store. The code will be automatically saved to your clipboard, so just add the products to your shopping cart and paste it in the "PROMO & GIFT CERTIFICATE CODES" field at checkout. I like to think of Smokeless Image as one of the best kept secrets of the vaping world, which is a shame because they offer a much better electronic cigarette than other more popular brands out there, at a very reasonable price. 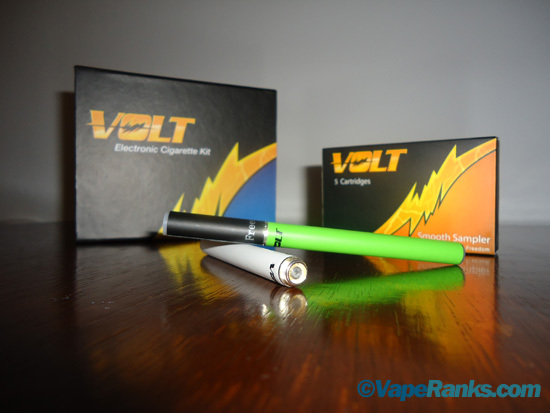 But while most casual vapers are oblivious of its existence, the Smokeless Image Volt has garnered a lot of positive reviews within the vaping community during the last few years, and it’s been on my to-try list for a while. I finally took the plunge and bought myself one of their starter kits just to see if it lived up to its reputation. All I can say is “money well spent”. My experience with the Smokeless Image Volt didn’t really start off as well as I expected. Presentation is definitely not the company’s strong point, as all their different kits come in exactly the same box, with the extra accessories just thrown in there. I opted for the Standard Starter Kit, which contained two e-cigarette batteries (automatic and manual), five tobacco-flavored cartomizers, a USB charger and a wall adapter. Nothing too impressive, but enough to get anyone started with e-cigarettes, and at $22.95, it’s one of the most affordable kits on the market. Smokeless Image has a variety of packages to choose from, with the more expensive ones including cool stuff like a USB passthrough and a slick portable charging case. I was interested in the quality of the e-cigs, but those are really nice to have around if you can afford them. One thing that I particularly liked about Smokeless Image while ordering their products online was the wide variety of customization options available. I’m not just talking about the possibility to choose between different size batteries, manual or automatic, but also about the number of battery colors, and the colors of the LED tips. Sure, it doesn’t affect the performance of the devices, but it’s definitely a nice touch. One thing I noticed after opening the starter kit was big resemblance between the Smokeless Image batteries and cartomizers to those from Bloog E-Cigarettes, another favorite brand of mine. After doing a bit of research online, I learned they were pretty much identical, down to the internal structure of the cartomizers. If you’ve read my Bloog review, you already know that’s a good thing. They both have such excellent quality products. Overall, what the Volt lacks in matter of presentation it more than makes up for in build and pricing. Just like virtually every e-cigarette company out there, Smokeless Image offers KR808D batteries for its electronic cigarette. The more popular 510 batteries have their own advantages, but there’s no beating the KRs in terms of comfort and convenience. Just screw on a cartomizer and you’re ready to vape. The Volt is one of the best KR808 devices I’ve ever used. The 78 mm batteries I opted for are 320 mAh offering a longer battery life than most other e-cigarettes of the same size. I got about 4 hours of heavy use out of the automatic battery, and around 3 hours from the manual, which was pretty impressive considering we’re talking about a cigarette size vaporizer. 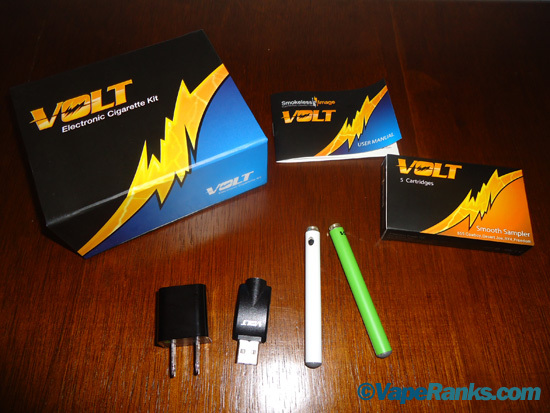 The short battery life has been the biggest shortcoming of cigalike e-cigs ever since they first hit the market, but the Smokeless Image Volt is a game changer in that respect. Performance-wise the Smokeless Image Volt is just as impressive. The automatic battery switch was extremely sensitive, promptly activating the device at just the right draw intensity, and the manual performed flawlessly throughout the testing period, although I did happen to drop it on the pavement a couple of times. Just like the ones from Bloog, Volt automatic batteries are sealed, which minimizes the danger of e-liquid leaking from the cartomizers and frying the circuitry. Mini electronic cigarettes are not exactly known for their great vapor production, but there are a few brands out there which can hold their own against bigger vaporizers like the eGO, and Smokeless Image Volt is one of them. I was simply blown away by the amount of vapor this little thing produced after even the shortest draw. While other popular brands, like V2 Cigs or South Beach Smoke have 4.2 volt batteries, the Smokeless Image Volt is regulated at the usual 3.7 volts, but that really seems to be more than enough. To be honest, the low-resistance cartomizers also take a lot of the credit, as the Volt doesn’t produce the same thick plumes of vapor with just any cartridges. These new generation cartomizers are exactly the same as the ones on the Bloog e-cigarettes, and they really do make all the difference. I couldn’t be more pleased with the Volt’s vapor production capabilities, but the one thing that really could be improved is the throat hit. I ordered prefilled cartomizers with 18 mg nicotine e-liquid, and although the throat hit was there, it wasn’t quite as strong as the juices I usually vape. It might be enough for ex-smokers of ultra-light and light cigarettes, but it was a bit too weak for me. As I mentioned before, Smokeless Image cartomizers are a lot different than what most other brands sell. Not only do they produce a lot of vapor, but they’re also known for being less prone to burning. When low on e-liquid, the wick and inner filling of most other cartomizers get burned, which renders them useless, because the burnt taste never goes away. That doesn’t happen with Volt cartridges. Of course, if you use them too much, they will eventually suffer the same fate, but as they run out of juice, you just get a bland taste, which lets you know it’s time to refill before it’s too late. Unlike other brands, who glue the plastic caps on to their cartomizers, practically forcing you to throw them away once they’re empty, Smokeless Image encourages vapers to reuse its cartos by using easy to remove rubber caps and selling blank cartomizers and bottles of its e-liquid. The liquid is a mix of propylene glycol and vegetable glycerin (90%/10%), which seems to be a really nice combination, as the PG really enhances the flavor while the VG improves vapor production. As for the flavors, I’ve only ordered the Smooth Tobacco sampler pack, which contains a variety of flavors, like the popular RY4 and 555. They’re a lot better than most of the tobacco flavors I’ve tried in the past, and that’s saying a lot considering we’re talking about Chinese-made e-liquid, not gourmet stuff. Like with most brands, some taste better than others, but like I always say, flavors are very subjective and you just have to try them for yourself. Smokeless Image might not have the flashy packaging of other big brands, but in terms of quality, performance and pricing, the Volt is a step ahead of the competition. 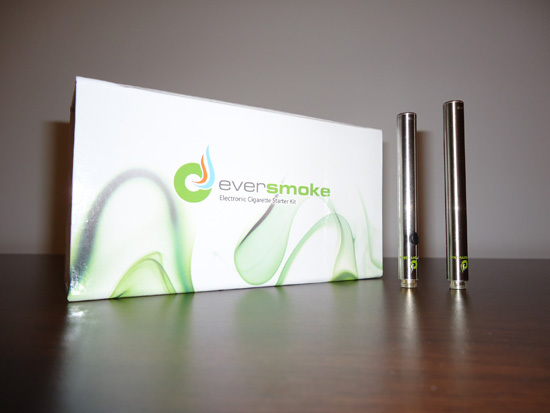 It’s got great battery life for its size, delivers amazing vapor every time, and some of the flavors are really tasty. 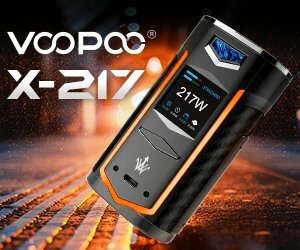 Combine that with its low price and the company’s reputation for great customer support and you’ve got the perfect e-cigarette for beginners. 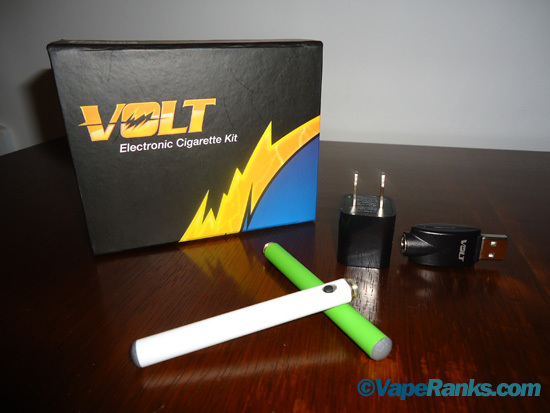 If you’re looking for an affordable cigarette-like e-cig that actually works well, you can’t go wrong with the Smokeless Image Volt. Should you want to try the Smokeless Image Volt, feel free to use our 10% OFF coupon for all Smokeless Image products. Just click on the code below and you will taken directly to the company’s online store. The code will be automatically saved to your clipboard, so just add the products to your shopping cart and paste it in the “PROMO & GIFT CERTIFICATE CODES” field at checkout. I’m three months off analogs with Volts. Chose them because of the rechargable and refillable features, and the wonderful instructional videos (which you didn’t mention) on their website. Totally satisfied; will never go back to tobacco. Feel 100% better. Your review, based on your broader experience with a variety of brands, reinforces the wisdom of my choice. Thank you. I ve just started Vaping after a long look for an alternative to tobacco use . i looked around the gaping market and saw the only real videos out there . SteelJan explains everything this brought my confidence in the product way up. I read a few reviews and I was hooked. 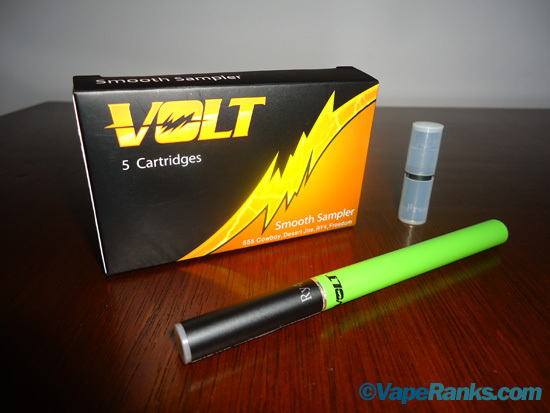 the refillable cartomizers , the great amount of flavors and i chose the volt . for its simplicity and the fact all reviews said it worked so well . We’ll it dose it works great its simple you screw in a cartomizer and and the charged battery and you are ready to go . i noticed as a former wine taster the complexity of some of the flavors , i also notice some off flavors as well like a vynil hose , and concrete , brick, dirt , minerals , a host of metals like stainless , and rusted iron . lick a pipe and you will know what I mean. on the the good side the new grape is just like a concord grape sweetened, and the water melon tastes like sweet flowers , and cherry with a strong jolly rancher after Taste, the 555 is like toasted grains especially rice and oats and is simple , the other tobacco flavor Dessert Joe is radically complex to much to review here, the Menthols stay with you for a while and are really fresh . 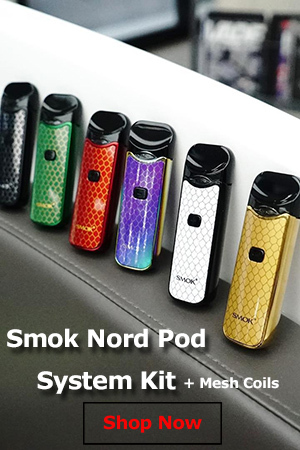 Being new to Vaping i must say the kit I ordered was great it was all there , the box is simple and direct I assume they are putting there money in to the product rather than the marketing and letting the product do the work for them. the battery life is ok it works way better on a full charge when the cape thins out i switch batteries and its back to full fledged Vaping i get maybe 2-3 hours per battery I draw heavy on it so i am not surprised. over all i would rate this very high it does exactly what i want to provide a great Vape and satisfying flavor . after 2 weeks with this product I no longer have a need for tobacco cigarets I got a light nicotine hit at 1.8mg wish i bought the 2.4 but it works well thanks and have a great day . Completely satisfied with the product, price and customer service. I see very little difference between my former ultra-light cigarette brand and the Volt 555 24mg. The huge difference is that I can use it in my car, in the house and at the office. I feel sorry for my smoking friends when I see them walking out of the office on a cold, windy, rainy day for a smoke break. Best purchase I’ve made in years. And by the way, I thought the packaging was great. My go to company WAS V2 since February 2013 when I quit smoking but their delivery has went up in smoke! I’m still waiting for $80 in product ordered on Dec. 13 that I paid to be received in 3 days, itt hasn’t even be fulfulled! I started reviewing other e-cigs and found Volt here. I ordered on Thursday night and had my product Saturday afternoon…with a thank you note! I should be thanking them! This is the first cartigrams (555) with the manual 78mm battery and I love it…bye-bye V2! Hello Volt! Delivery takes too long. I ordered 2.5 weeks ahead of a trip to FL and did not receive them before I left. Also, it’s the 21st century. I shouldn’t have to go rooting around looking for a credit card when I order on the Internet. PayPal,Google wallet, yahoo — there are easy ways of ordering which don’t require my having to go downstairs or upstairs looking for a card. Offer simply payments. BEEN WITH THE JUUL FOR OVER A YEAR THE FLAVOR IS GREAT. BUT THE PRICE IS A RIPPED OFF THE JUUL DONT LAST MORE THAN 2 MONTHS WHEN IT STOP CHARGING AND THE JUUL PODS IS MORE WHAT GOES IN THE TRASH BECAUSE THEY ARE LEAKING. TRYING TO FIND SOMETHING TO REPLACED IT. BECAUSE THE FUNNY THING NEITHER THE WEBSITE OR RETAILERS NEVER HAVE THEM ON STOCK AND DONT EVEN BOTHER FILLING A TICKET FOR WARRANTY YOU NEVER SEE IT…. Smokeless image is not bad. I’ve tried both grape and cappuccino, both were god! I would order again but I’m not back in the states ! They have monthly specials which they actually update and free shipping plus 10% off with code tryovlt2706. If I had to pick a more high quality brand say u go with provape, ego, and those mods. Terrible company. They don’t even honor their warranties. Had a device with a 3 month warranty that failed after a month. I emailed support seven times with no response. Wasted money.